Analog Man carries the Boss ML-2 Metal Core. 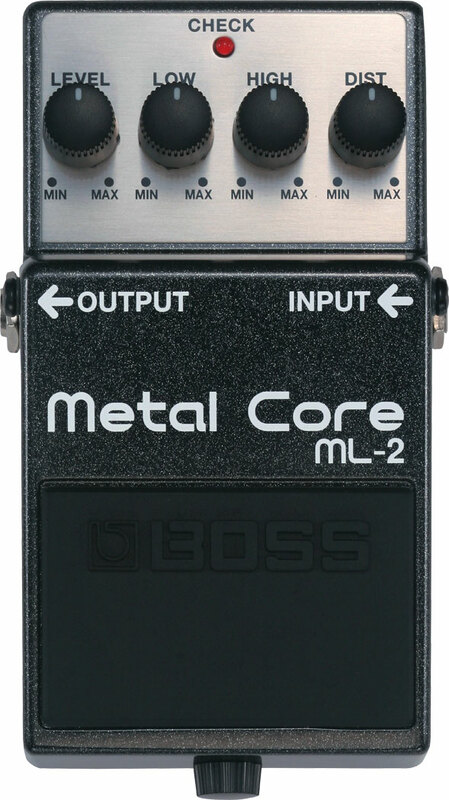 With its extreme gain, the ML-2 is the most potent and heavy distortion pedal ever created by BOSS. Wish the low high eq had more effect. Awsome pedal tho. Makes my old digi-tech death metal pedal sound like it should be playing marry had a little lamb. This pedal will cut through anything and is not mushy still maintains great dynamics at high volume. Definatly a pedal you guys should tinker with i'd love to have the eq modded.